Today I want to share with you one of my favourite Christmas traditions.... the Advent Calendar. The Advent Calendar is intended to shorten the wait until Christmas Eve is finally here. Naturally, the main target group is children. 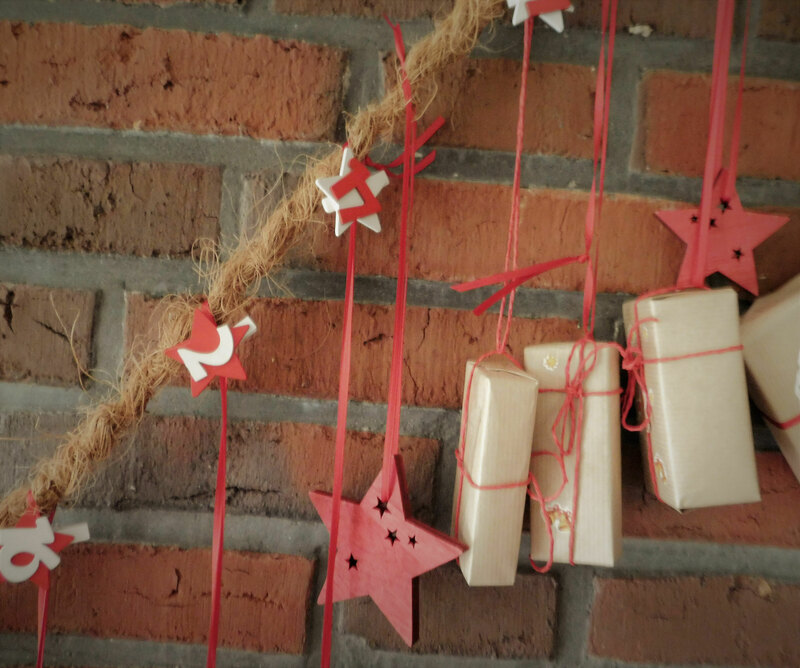 I find an Advent Calendar works for every age group, is a great way to bring a daily moment of joy to someone you like, and acts as a Christmas decoration. 1. Fill the boxes with your gifts. 2. 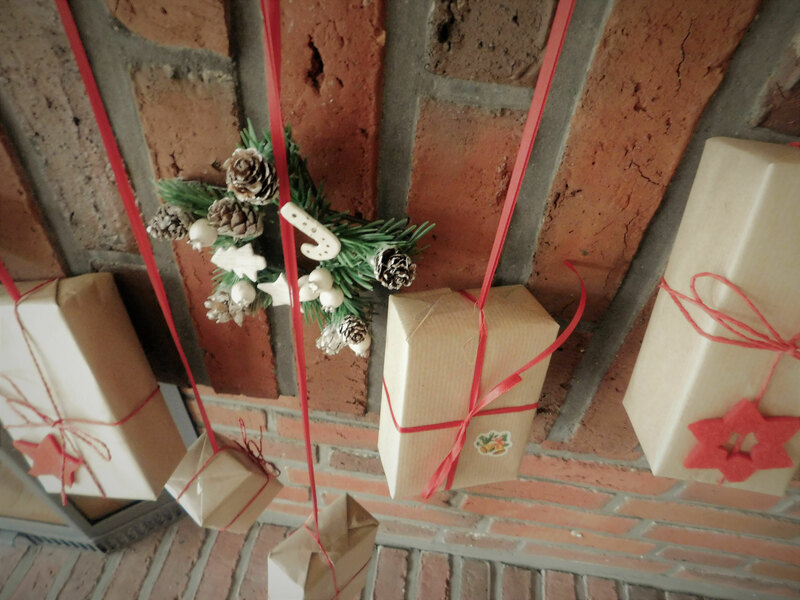 Wrap all boxes with Kraft paper and ribbon. 3. I put some extra decoration on some of the boxes to enhance the Christmas feeling, but this is optional. 4. Number the boxes from 1 to 24. 5. Now you can hang them on your rope. 6. 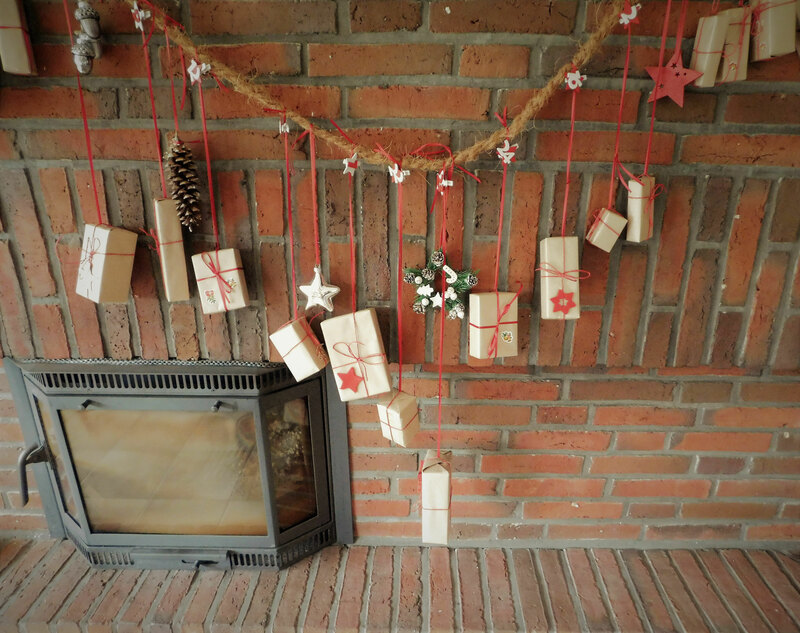 Like before with the boxes, I added more Christmas decoration between them. Again, this is personal preference. That's it. You're Advent Calendar is done. Have fun crafting. Let me know you gave it a try.